What's the secret to growing a beautiful lawn? 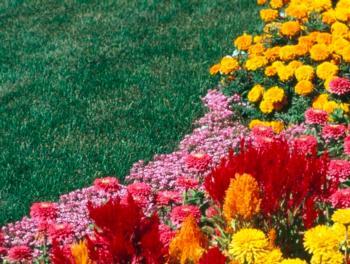 The University of California Guide to Healthy Lawns has the answer! It will answer how to choose and identify grass species, show how to prepare the site and plant the turf, describe how to care for new lawns or renovate old ones, and tell how to manage pests and diagnose problems and diseases. Depending on your location within Lassen County, the best grasses to plant are Kentucky bluegrass or turf fescue or turf ryegrasses. • Will the lawn be in the shade or in full sun? • Will it be in a location of high traffic or light? • Will it be sprinkler irrigated or hand-sprinkled? • Will it be mowed often or sporatically? Planting a new lawn requires careful planning and preparation. Be sure to purchase the kind of turf that will be cold tolerant.